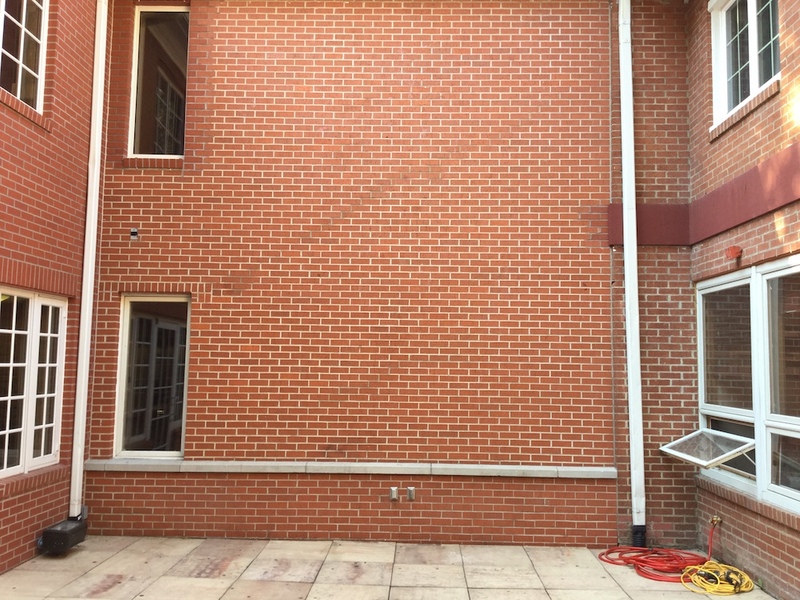 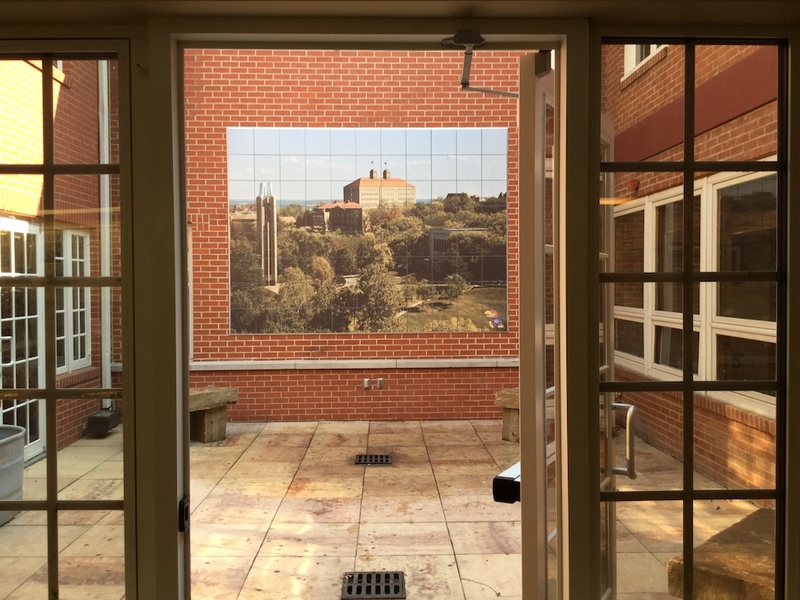 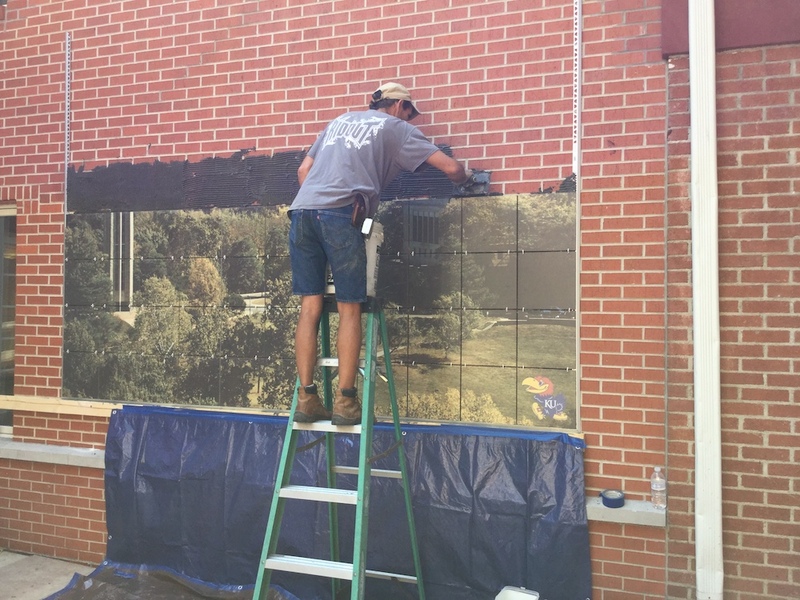 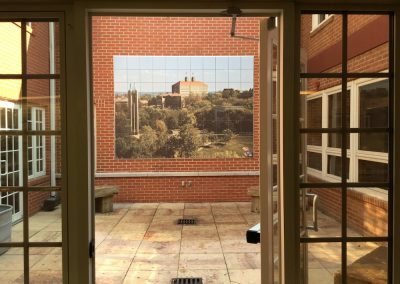 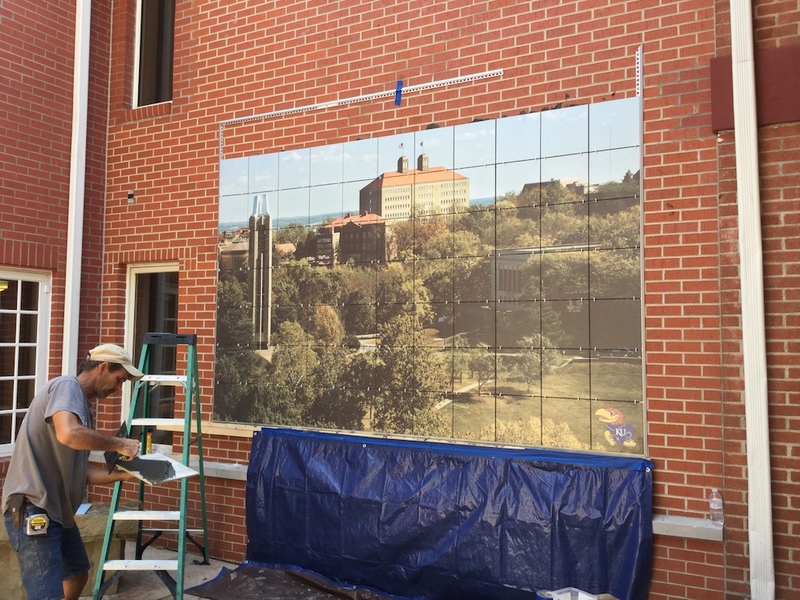 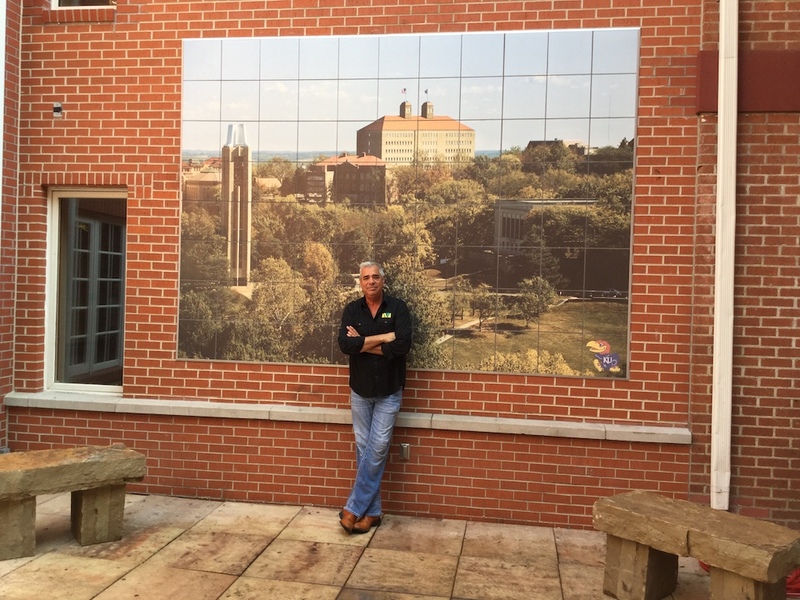 Whitehill Enterprises was contracted by R&D to create this mural for an outdoor courtyard at the fraternity. 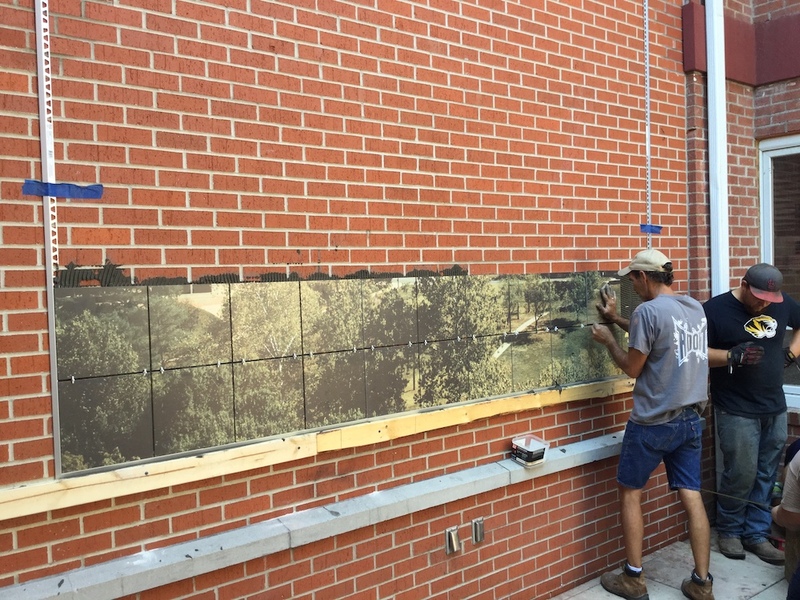 R&D was remodeling the space to include new stone benches as a sitting area and to view the artwork of the mural. 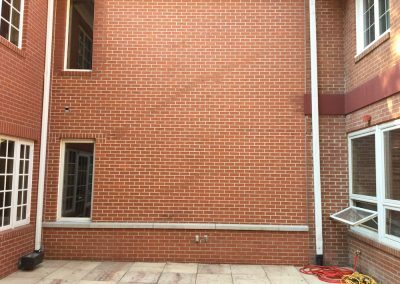 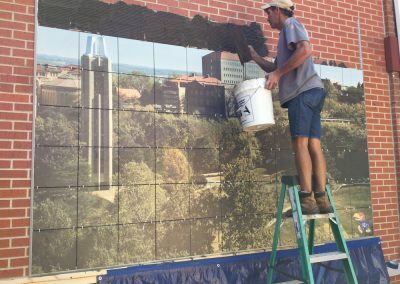 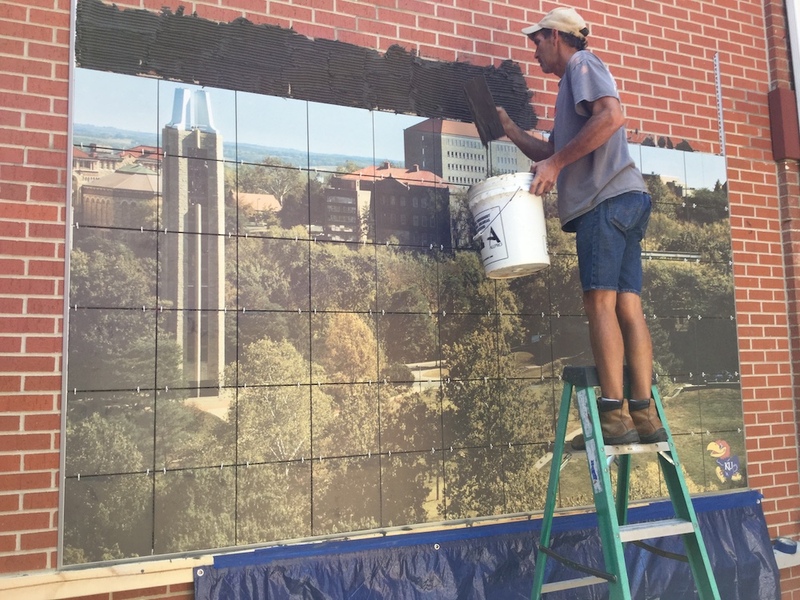 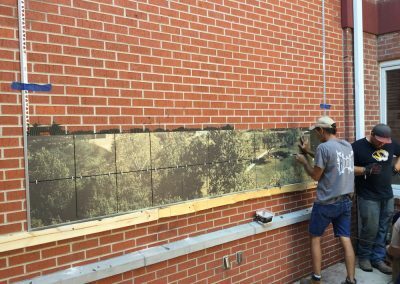 A porcelain kiln fired tile was selected to withstand the extreme weather conditions found in Lawrence, Kansas and direct exposure to sunlight. 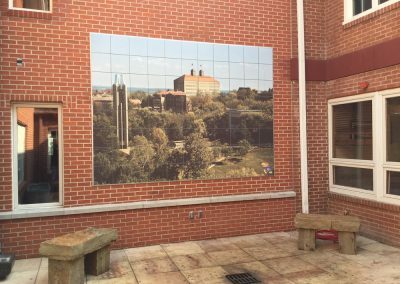 Kiln fired tiles are UV stable and frost proof. 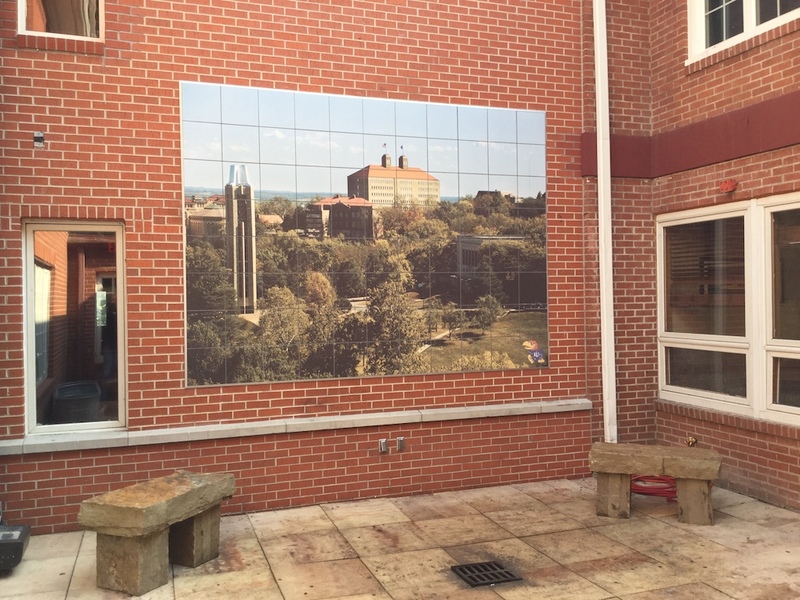 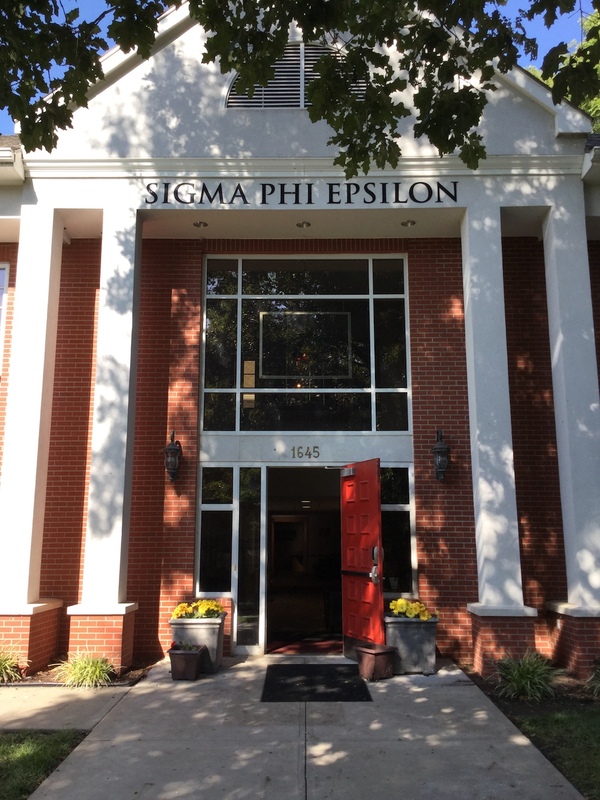 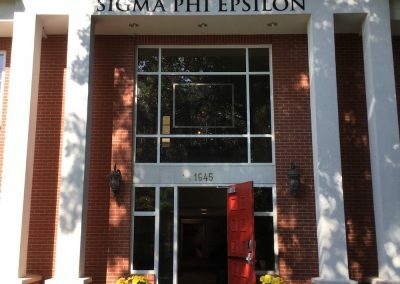 The image is a photo provided by the fraternity showing the iconic buildings found on the campus. 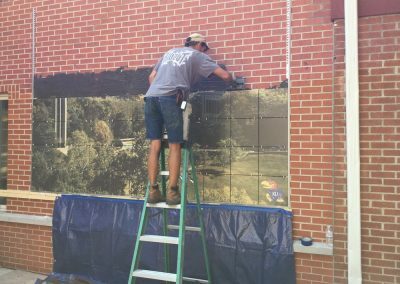 The Jayhawk logo was added in the lower right corner.